This post is promotional in nature so if you’re only in the mood for photos right now head on over to my gallery or my Flickr stream and enjoy. But if you’ve ever thought about starting your own business but didn’t know where to start then this 72 hour sale of resources for the budding entrepreneur from Only72.com may be worth a look. First, here is a little background on Only72.com. It was started by Adam Baker and Karol Gajda. They do these massive digital products niche sales 2-3 times a year for “only 72 hours.” After that they are gone forever. Typically they offer $1000 in courses, ebooks and digital downloads at 90% off. I purchased their original offering and was very impressed with the value offered. This time around they are offering a whole slew of professional resources for the budding entrepreneur PLUS a hardcover copy of Chris Guillebeaus’s new book The $100 Startup which won’t be released until May 8th. All this for $100. 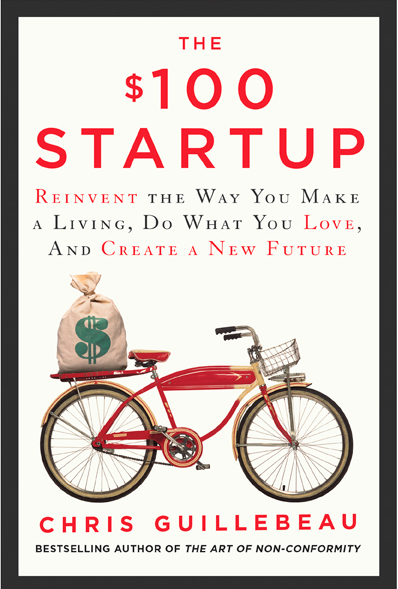 I have actually read a preview copy of The $100 Startup and I can honestly say I was really impressed. As someone who has struggled to start my own ventures this book offers up an inexpensive path that many people have now taken to start their own endeavors as evidenced by the multitude of interviews and examples throughout the book. I’m not one to try and dissuade people from following the so called “traditional” employment path because I think for many people it works well, but I think that if you find yourself not happy working any job then you owe it to yourself to make a change and try something different. So even if this sale isn’t for you, definitely check out The $100 Startup book. It’s an impressive lineup of resources to get you started in building your own business. If it sounds interesting then take a look at this link, otherwise take a look at this Monday Photo Inspiration (it’s a playable Angry Birds Birthday cake). Remember, this sale only lasts for 72 hours. I am an affiliate for Only72.com and do receive a percentage of each sale made through the links above. It doesn’t cost you anything and it helps keep this site going and further my photography. I only recommend products that I have or would purchase myself, or that I think are incredible deals and would be of interest to other photographers. Of course only purchase things that you really feel are a good fit for you.